It can be a chore getting children to brush there teeth, and sometimes adults too. Introducing fun into this daily routine is the key to continued success. 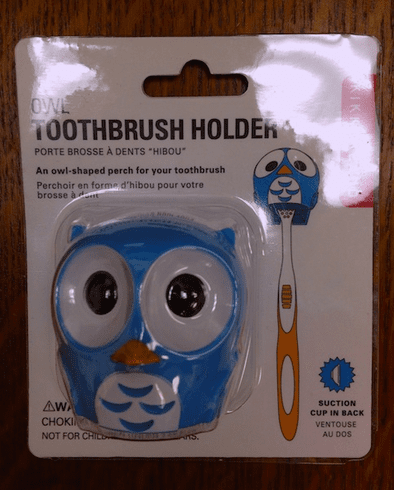 Available in a delightful variety of animals these toothbrush holders are sturdy and cute. The suction cup provided adheres to most non-porous surfaces and offers an efficient, fun and hygienic way of storing toothbrushes when you are done with them.